The Alberta woman who opened the door to compensation for hundreds of victims of forced sterlization has died. Leilani Muir, who legally changed her name to O'Malley to let go of her past, successfully sued the province in 1995 after being sterilized because she failed an IQ test. The Alberta woman who opened the door to compensation for hundreds of victims of forced sterlization has died. Leilani Muir, who legally changed her name to O'Malley to let go of her past, successfully sued the province in 1995 after being sterilized because she had failed an IQ test. Since then, more than 700 victims have sued the province. Most of the cases were settled out of court. Friends say they found out about O'Malley's death Monday night but it's not yet clear how she died. She was 71. "It is a terrible loss for all of us who knew Leilani well," said Nicola Fairbrother, a long-time friend, fellow human rights advocate and director of Neighbourhood Bridges. 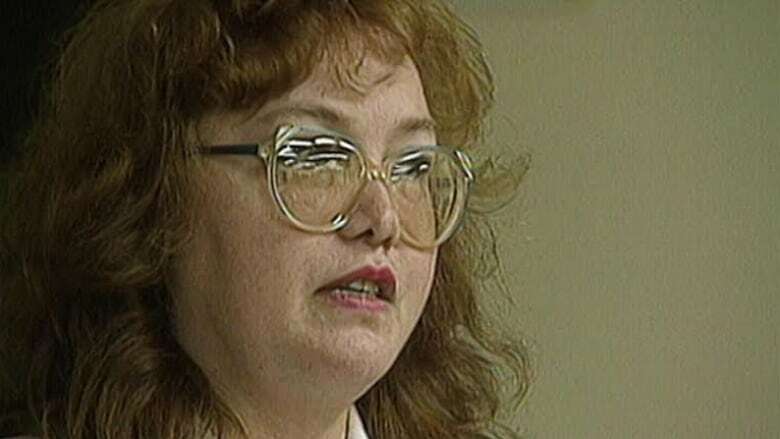 "She was a champion around the rights of people with disabilities and survivorship of sexual sterilization, which has an unpleasant legacy here in Alberta. She was a tireless champion of the underdog. So for those of us who knew her well and were very close to her, it's a terrible experience to find that she's gone." O'Malley was institutionalised at the age of 11 at what was then called the Provincial Training School For Mental Defectives, now known as the Michener Centre. Two years later, she was diagnosed as a "moron" and the Eugenics Board approved her sterilization. She didn't find out what had happened until her 20s. She said officials told her at the time that she was having her appendix removed. In 1998, O'Malley received a total of $1 million in damages, interest and costs after winning her landmark lawsuit two years earlier. But O'Malley continued her advocacy, creating a dialogue about eugenics in Canada and advocating for the importance of protecting children based on her own experiences, said Fairbrother. She was also a major contributor to the Living Archives on Eugenics in Western Canada, which Fairbrother helped lead. "There's a willingness to forget these ugly parts of our history," said Fairbrother " And the living archives I think was intended to ensure that those stories and our knowledge about why we made those sorts of political decisions would survive, to keep us informed, to inform decisions in the future if we ever swing back towards eugenic thinking and to preserve the personal narratives of survivors." In 1928, the Alberta government passed legislation that allowed the province to medically sterilize people deemed to have mental disabilities. The Sexual Sterilization Act of Alberta wasn't repealed until 1972. By that time, more than 2,800 sterilizations had been performed throughout the province.